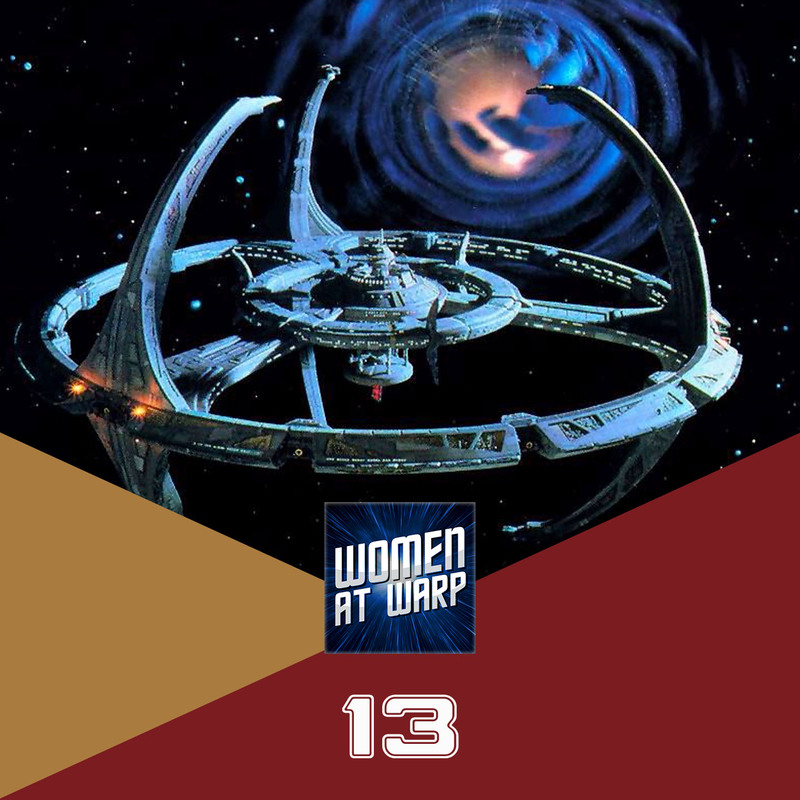 Season 1 of Star Trek: Deep Space Nine took a lot of risks and introduced us to stereotype-busting women characters. Our crew talks about the series premiere “Emissary,” our earliest impressions of the DS9 main characters, and Kira and Dax’s key episodes. StarTrek.com interview with Louise Fletcher on playing Winn Adami. ← Episode 12: Ready, Set, Ro! And here I am, for the first time listening to the Women at Warp Podcast. And of course I picked the episode about the first season of DS9, so now I am eager to see the discussions of the next seasons to and have to suffer through the waiting like everybody else. Great! But enough about bad timing. That discussion was great! Getting another look at this show, focussing on things that I myself probably didn’t really think about until now, is just interesting. Now, sadly, I don’t think I have anything really to add to anything that you said or things that you forgot. But instead, I want to at least ask a question. I know you have limited time and especially in the first season that just wasn’t something that interesting or fitting for your podcast, but I would really like to know more on your opinion about garak who first appears in this season. He is just a side char, especially here in the first season, but later on I always thought he had some quite interesting aspects that support the whole situation and it’s complexity between bajor and the cardassians. And, of course, he has a conneciton to bashir in some way that maybe has something to do with bashirs probable development later on? I don’t know if it’s worth your while to talk about him but I would definetly love to listen to some thoughts about that! Other than that, I just wanted to leave some positive feedback here for the first time I listened to that podcast. you are doing a wonderful job, that discussion was incredibly interesting and I will immidiatly start watching the older episodes and leave some hopefully more inspiring comments there! Thanks, Alexander! We tried to limit it to the main characters for time, but I know we want to discuss Garak in a future episode, as well as do more justice to Kai Opaka, whom we kind of skimmed over. Glad you’re enjoying the podcast. I somehow managed to miss this one when it came out, so I only just listened to it! Awesome discussion of season 1 DS9, and I really look forward to more of these (LOVED the one on “Past Tense”). Kira is so obviously awesome, but I really love the way Dax develops throughout the series. Also, thank you so much for including/addressing my comments about the Mudd episode; I appreciated it so much, as well as what all of you additionally added to that issue. I love you ladies, and keep doing what you do!!!!!! Hi. I really love the show, and I’m loving this episode. The only thing I can think of that I might want to add is that for me, the Bajorans are much more reminiscent of the Palestinians in the current conflict between Israel and Palestine. They’re highly spiritual, they were oppressed and displaced in their homeland and they were forced to resort to what others saw as terrorist tactics to fight for their freedom. They’re definitely representative of the Jewish people during the second World War as well, and the Cardassians clearly represent Fascism, but to me at least, I see the Bajorans as the Palestinians most. Love the show, I’m listening through it all from the start, so I’ve got a lot to catch up on.